NEW DELHI, India (CNN) -- The recent influx of people from the so-called "untouchable" castes into India's political structure is another indication that the country's centuries-old caste system is indeed dying. Although discrimination on the basis of caste is officially banned in India, it has always played a role in politics -- and elections. The caste system began in India hundreds of years ago as a hereditary social stratification system of four groups. It put restrictions on what occupation a person could pursue and whom they could mingle with. On the lowest rung of the social ladder were the untouchables, so named because they were forbidden from touching members of the ruling upper castes. The untouchables performed the most menial jobs, were prohibited from taking up more noble professions, and were not allowed to interact with members of the higher castes. But government-sponsored equal opportunity programs have helped people from lower castes shed their socially imposed shackles and occupy positions of increasing political and professional importance. 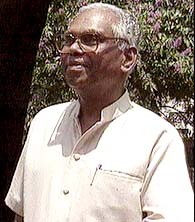 The country's vice-president, K. R. Narayanan, came from one of the untouchable castes. Several federal government ministers and legislators hail from the same background. But real political power in India's constitution rests with the prime minister. Until recently, it was almost unthinkable for Indians to seriously consider someone from the untouchable castes for prime minister. Now, supporters of Ram Bilas Paswan, who comes from one of the lower castes, think he has every chance to one day occupy India's most powerful chair. 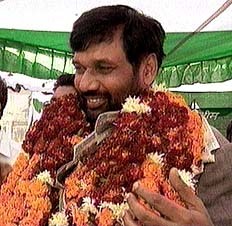 His supporters call Paswan the "messiah of the poor and untouchables." Paswan resigned from his government job because of alleged injustices to people of his caste, and ran for elections to India's parliament. He won by half a million votes, landing him in the "Guinness Book of World Records" for gaining the highest-ever margin of victory by a politician. Later, he was named a cabinet minister. 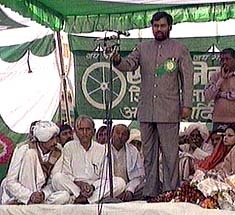 Now a member of the political opposition, Paswan is likely to seek re-election to Parliament in this year's elections and is hoping his party will see a return to power. Whether that happens or not, there's no denying that Paswan and others like him have made a mark and given people from lower castes reason for hope.